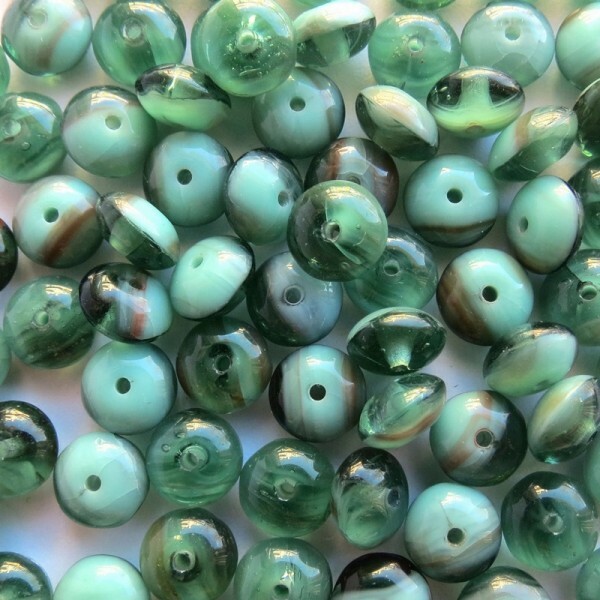 Czech Glass Rondelle Beads, Green shades, 7mm, 40 pcs. 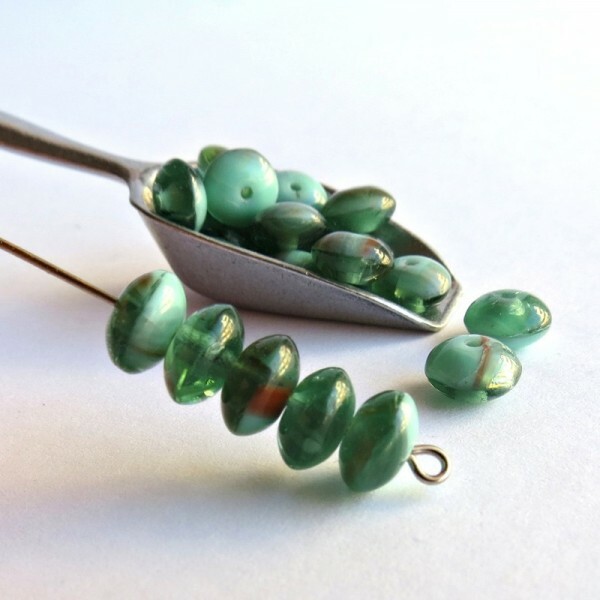 > Pressed beads>Fantasy>Czech Glass Rondelle Beads, Green shades, 7mm, 40 pcs. 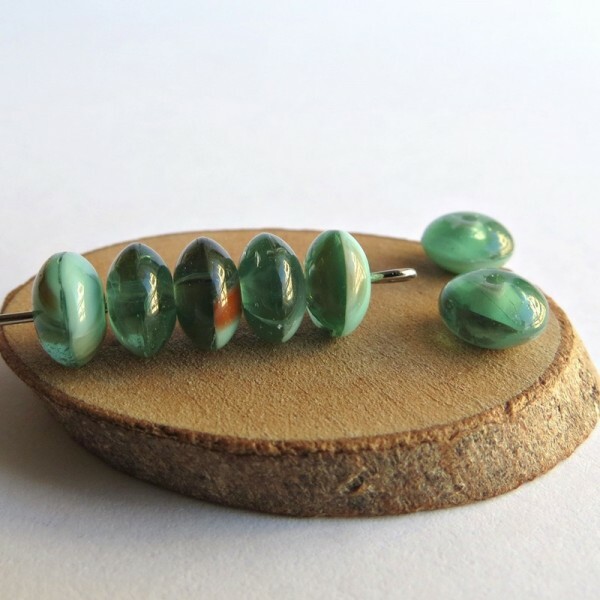 Color - a combination of opaque green, transparent green and opal mint green glass. 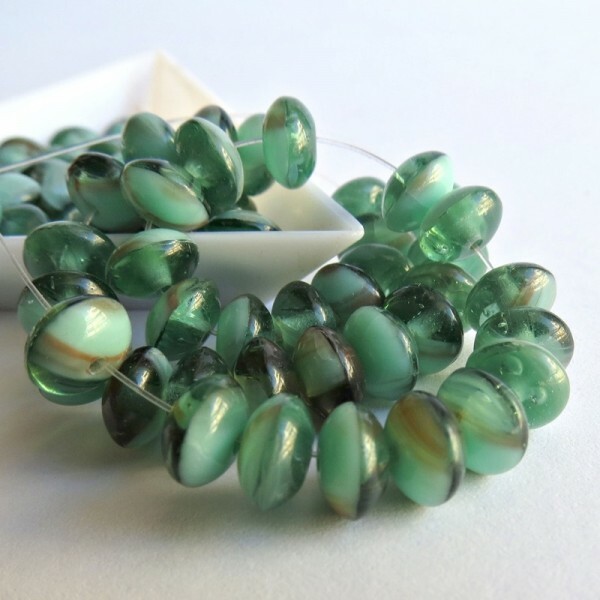 Some beads hs also dark red stripes.